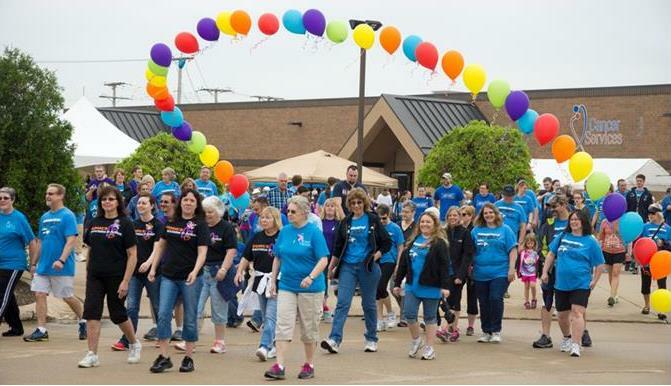 Thank you to everyone who sponsored, donated, volunteered or participated in Lapper and Survivors Day 2015! 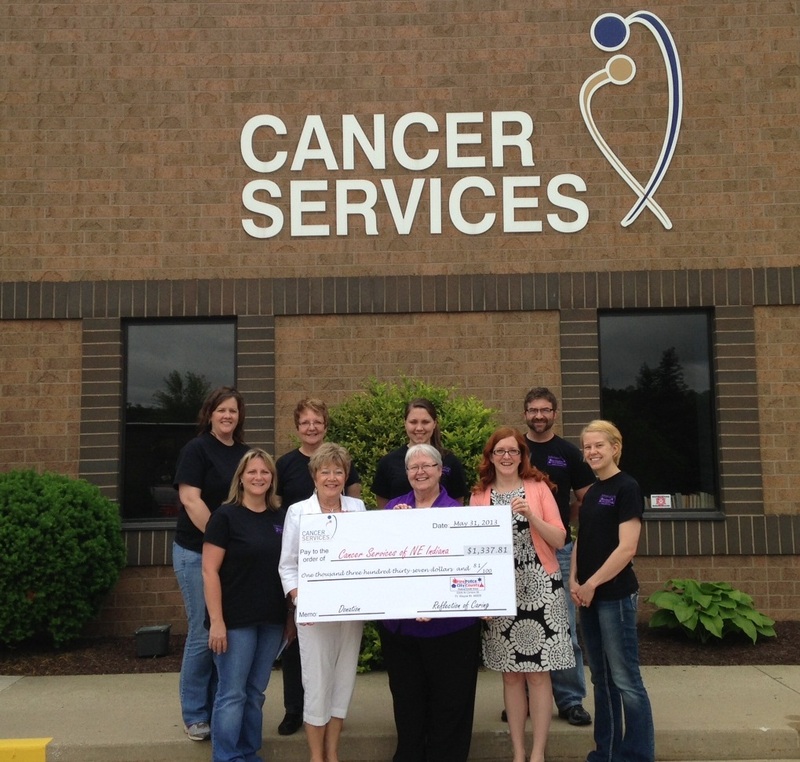 Due to the generosity of many, we were able to raise over $60,000 which will help provide programs and services to people with cancer in our community. Last night, we invited team captains, sponsors, volunteers and board members to join us for the first annual “Very Important Lapper” Party to kick off the final countdown to Lapper 2012. With just 10 days left until the big day, we wanted to thank our dedicated supporters and give them one final push to raise money and invite friends to join their team. Over 50 people joined us to celebrate and enjoyed food, drinks, tours and inspiration. Lapper founder Jill Burnett relayed her story about why she started the event: to not only to honor her late father, but to rally support for a fellow Canterbury teacher who had been diagnosed with breast cancer, as well. And now, 10 years later, the event has grown exponentially and has become our largest community event each year. 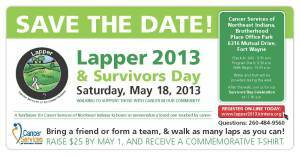 It’s not too late for you to register for Lapper and join us on May 19. Just visit the event website and you’ll be on your way. It was such a privilege to meet so many survivors a week ago at the Lapper/Survivors Day Celebration. I was heartened by their stories…the volunteer who told me of the death of her son-in-law but the lives of her two grandchildren who are in remission from their cancers. Then I met the father of a teenager who succumbed to lung cancer 2 months ago and whose family was walking in this young man’s memory. Another walker rejoiced that she has been dealing with a Stage IV cancer for over 4 years but formed a large Lapper team and succeeded in completing the Walk. And I thought: what courage! Some mornings, just getting out of bed is an act of courage. Even in the midst of doubt, the simple act of breathing is enough. This moment will only be this moment. The next moment carries us forward. We are asked to live each moment fully. 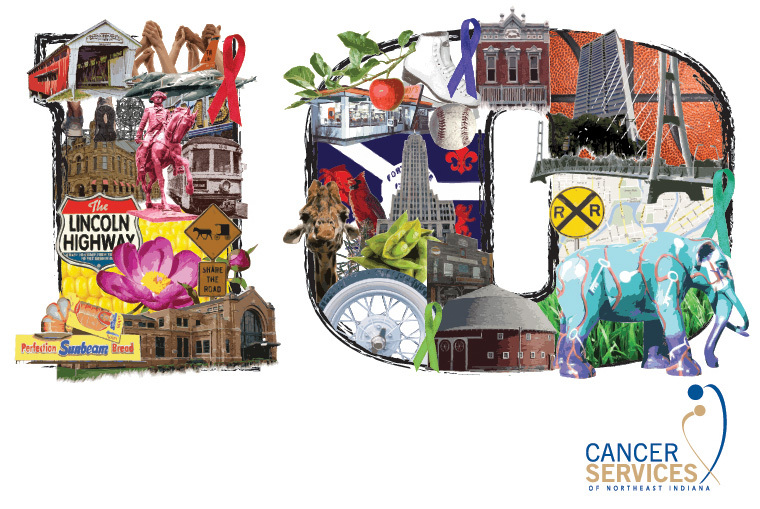 The many friends and neighbors of Cancer Services who celebrated together at Foster Park embody the idea that we have nothing to lose and all to gain when hope and courage give meaning to our lives. During the winter of 2009, Ralph Burgess hadn’t been feeling well, so to improve his health and lift his spirits, he began walking laps at Foster Park with Susie Blaugh, RN, who is in charge of the Health Ministry at The Chapel. Participating in The Lapper showed Ralph that he could still do something for others, even at the age of 92! That year, he proudly walked next to Susie and her friend, Shelley Chapman. His wife, Shirley, says that walking in The Lapper gave Ralph a sense of purpose. Ralph felt good about walking; he had accomplished something. This winter, as so many do, Ralph was feeling a little blue, but as spring began to roll around, his spirits lifted and he started to look forward to walking in his second Lapper. He and Shirley have already set off around Foster Park a few times this season in preparation for the big event. Shirley is hoping that this year she can join Ralph in The Lapper, in spite of her recent knee replacement. Even though Ralph and Shirley haven’t personally experienced cancer, they understand the importance of Cancer Services of Northeast Indiana, and they understand the importance of being a part of this event. 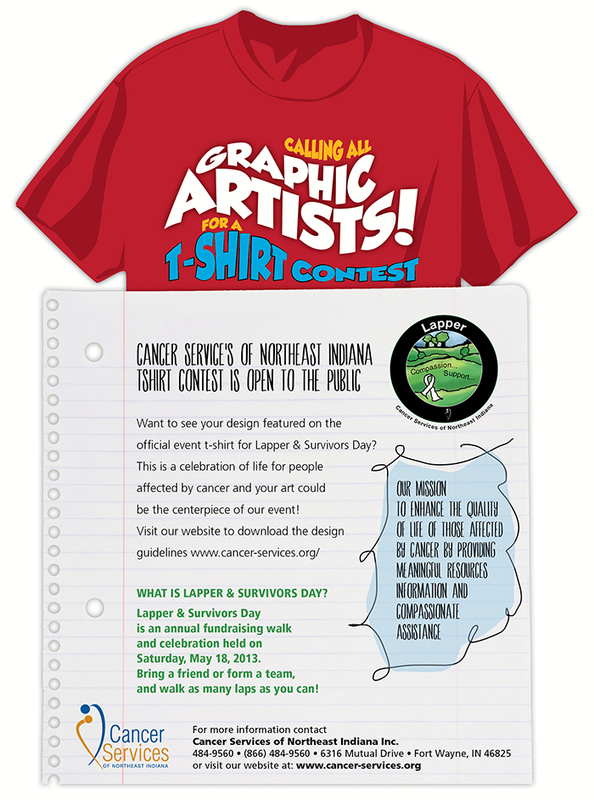 Do you have a story about Cancer Services of Northeast Indiana? If you do, we would love to hear it. Put it in the comments below, or email it to arecker@cancer-services.org.